It was way back in 1963 when Loyola’s basketball team traveled to Louisville to compete in hat is now known as the Final Four. Back then is was simply known as “the finals,” with two semi-final games played on Friday and the championship game on Saturday. That season, Loyola had been highly rated team. 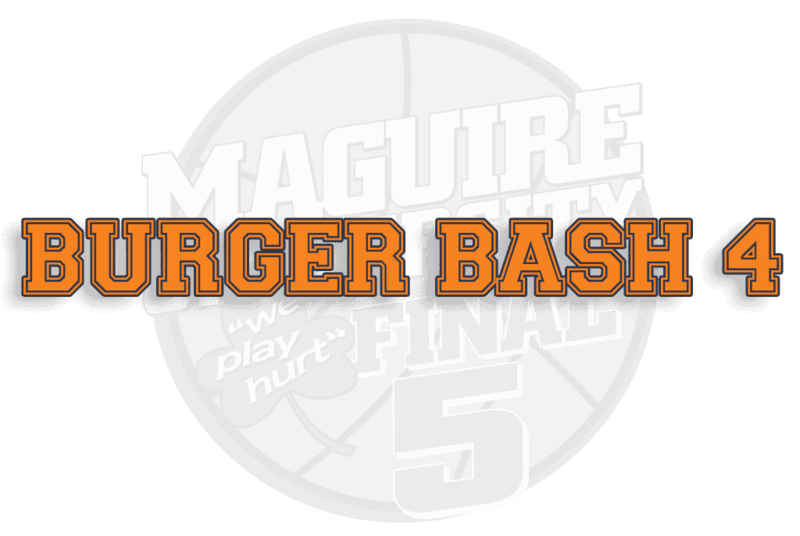 They were led by Coach George Ireland and Assistant Coach Bill Shay, who happened to be regulars at a certain bar in Forest Park called Maguire’s. The bar was a popular hangout for fans and the coaching staff from Fenwick High School and other Catholic League teams. 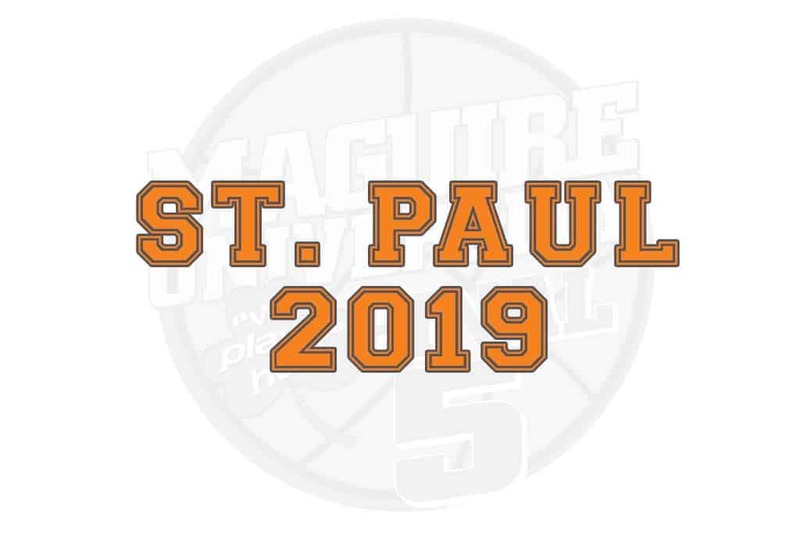 Scouts were known to drop in at Maguire’s, well aware that they were likely to talk with some of the most well-informed enthusiasts of high school basketball in the city. Assistant Coach Shay possessed tickets for the college basketball finals that year, and about eight fans from the Maguire’s contingent went along with him to the event in Louisville. 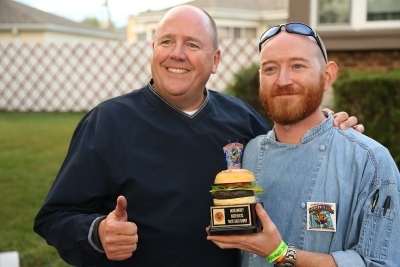 They had such a good time that they invited others from Maguire’s to join in the following year – with or without tickets. 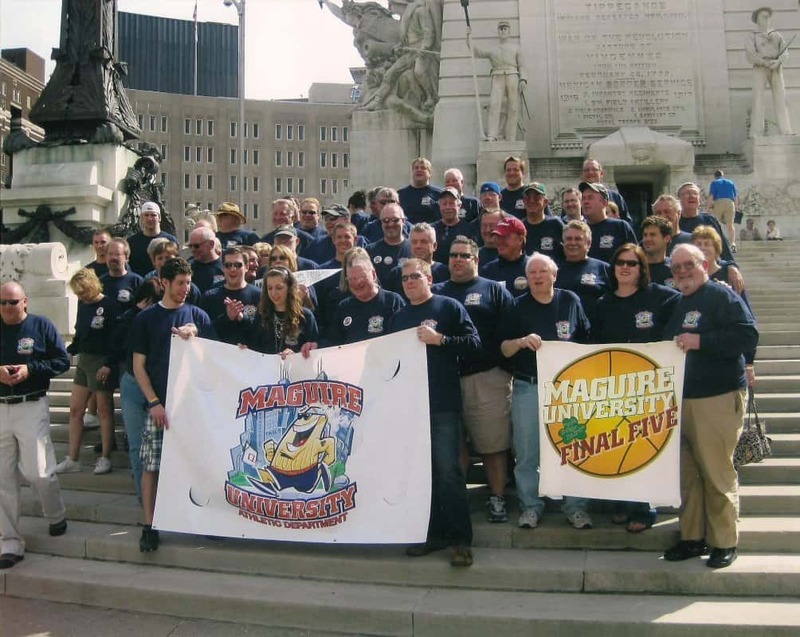 By 1972 more than 100 basketball fans from Maguire’s were going to the Final Four wherever it was held! 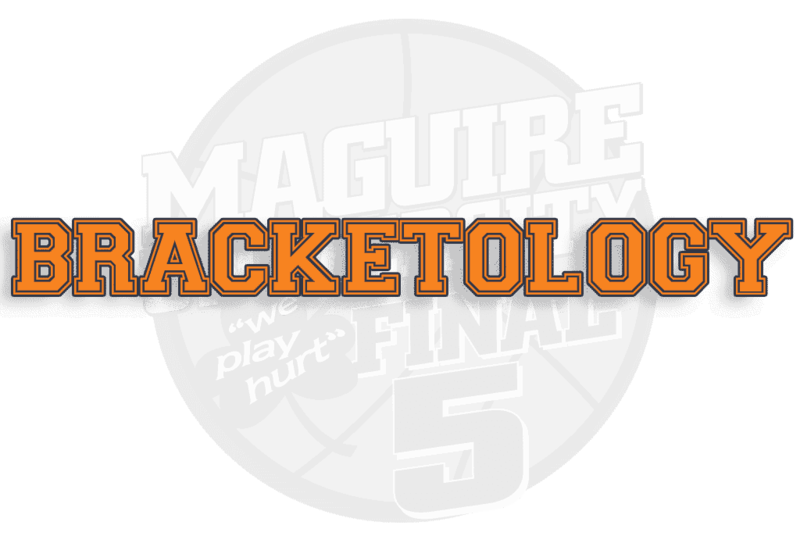 One day in ’72 a coach from Fenwick took a seat at Maguire’s with an NCAA application form. On a whim the regulars filled it out – listing the name of their “school” as Maguire University, their colors as green and white, and ‘jollymen’ as their nickname. 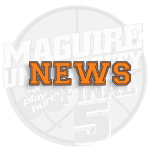 Surprisingly, the application was accepted by the powers that be at the NCAA and the Maguire’s regulars were notified that they would be receiving a block of tickets to the Final Four games! 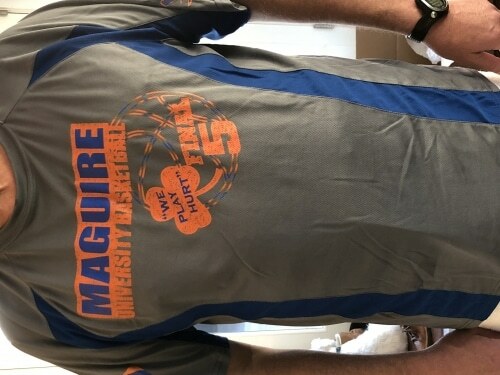 After two seasons, though, a sports reporter from the Chicago Tribune revealed the fictional status of Maguire University. The NCAA revoked the block of tickets and even asked hotels to avoid renting rooms to the Maguire group at tournament time. 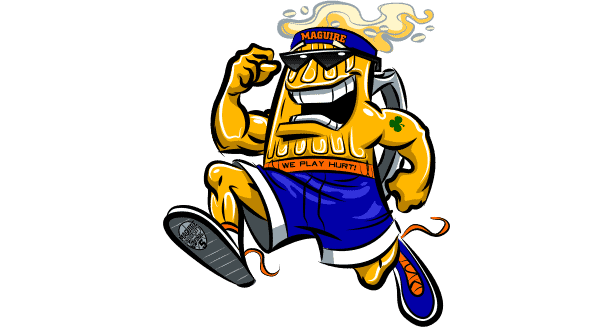 But the Maguires didn’t get discouraged and went to the games anyway, securing their own tickets and carrying on with lively parties in celebration of their enduring love for college basketball. 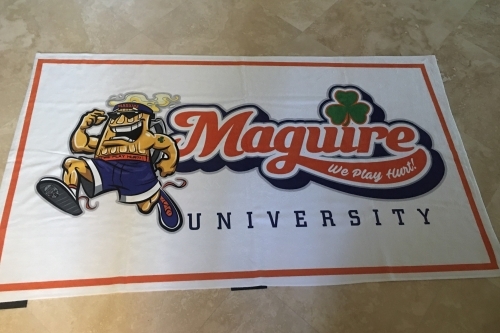 To this day, with our “We Play Hurt” pennants and commitment to tradition, Maguire University is a fixture at Final Four week every year!